This story is about two friends who fall out when they get angry with each other. They learn about what makes them angry and how it affects them. They then find new ways to manage their anger and negotiate a better solution for working together. Their friendship is all the stronger for understanding what has happened between them. 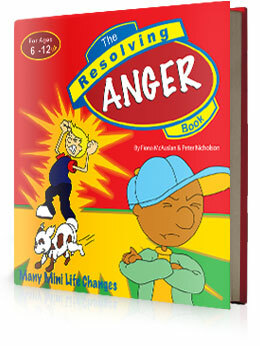 The Resolving Anger book is a 88 page full colour, easy to read and understand tool that can be enjoyed by a child on their own or read as part of a group or with a parent or teacher.